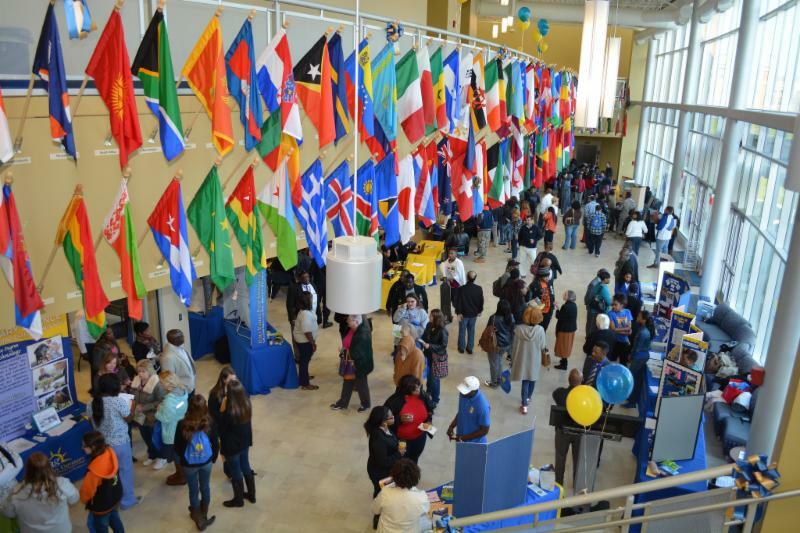 Fort Valley State University values the opportunity to serve international students. Students from nations other than our own bring with them a rich cultural diversity and global perspectives from which we can all learn. Our interactions are predicated on inclusivity, a spirit of free inquiry and a deep appreciation the history and experiences of others. FVSU offers the ideal environment for one-on-one learning, state-of-the-art research facilities, and also encourages connections to the world, both near and far, through relationships with local communities and countries around the globe. With more than 70 student organizations, FVSU also offers a thriving sorority and fraternity system, conference-leading athletic teams, honor societies and student government. Students will enjoy comfortable and safe residence halls, a spacious Wildcat Stadium, and supportive services of caring faculty and staff. International students will find a “home away from home” on our historic campus. With an enrollment beyond 3,000, our institution is the perfect size for building lifelong relationships that go beyond race, background and nationality. Our community is based on a shared love of learning and a thirst for personal growth. We’re family here. Everyone belongs. Fort Valley State University welcomes admission inquiries from international students. International students should have complete admission applications on file three months before the beginning of the term (summer/semester) in which they intend to enroll. An international student is one who is not a U.S. Citizen. THE INTERNATIONAL STUDENT APPLICATION FOR UNDERGRADUATE ADMISSION. Please complete and return to the Office of Admissions, Fort Valley State University, 1005 State University Drive, Fort Valley, Georgia 31030, U.S.A., with the nonrefundable $75 application fee (check or money order only made payable to “FORT VALLEY STATE UNIVERSITY”). TRANSCRIPTS FROM ALL SECONDARY AND POST-SECONDARY INSTITUTIONS ATTENDED. Applicants who have graduated from a non-US accredited high school should contact a NACES.org evaluator or Lisano International for a professional evaluation. Please request a document-by-document professional evaluation which must include a GPA calculation. DIPLOMAS, LEAVING CERTIFICATES, EXAMINATION CERTIFICATES AND DEGREES EARNED. Applicants who have graduated from a non-US accredited college should contact a NACES.org evaluator or Lisano International for a professional evaluation. Please request a course-by-course professional evaluation which must include a GPA calculation. SAT/ACT scores: If applicant’s first language is English, he/she must submit SAT or ACT scores. Minimum accepted SAT scores: 490/400, Minimum accepted ACT scores 20/20. Test of English as a Foreign Language (TOEFL) score if first language is not English, unless the English requirement has been completed at an accredited U. S. institution. Minimum accepted TOEFL scores: Internet based exam-72, Computer based exam-203, paper based exam-537. If applicant intends to participate in NCAA athletics and has not received eligibility clearance from the NCAA: SAT or ACT scores are required; Educational History Form. If applicant has been an international student at an institution in the United States: Transfer Verification Form; Current Visa, I-94 card, I-20, and ID page from passport. The U.S. Immigration & Naturalization Service (INS) Form I-20 AB will be issued only after completing the Confidential Financial Statement. Check the appropriate sources below which will be used to cover your educational expenses and complete the section(s) checked on the Confidential Financial Statement. IF AN ATHLETE, NCAA CLEARINGHOUSE CERTIFICATION (Since originals take two weeks to arrive, faxed copies are acceptable). U.S. Federal law explicitly requires all items in BOLD (and implicitly requires all items not in bold) to be in the applicant’s file prior to issuance of the I-20. Didn’t find the answer to your question? Contact Us to submit your question to the FVSU Office of Student Success.